The purpose of the current study was to examine the well-being of Latina survivors of intimate partner violence and sexual assault receiving services from community based, Latina-serving organizations. Despite the critical role that culturally-specific organizations play in supporting Latina survivors from healing, there is a gap in the academic literature base on the impact of these services on Latina survivors. Using a cross-sectional survey design, the current study attempts to fill this gap by exploring the influence of trauma-informed practices and culturally-specific work on outcomes for Latina survivors of intimate partner violence. Study participants included 175 Latinas from five Latina-serving organizations across the United States. Findings indicate that culturally-specific practice accounted for unique variation over and above trauma-informed practice in promoting well-being and trauma-informed outcomes among participants in this study. This study is an important contribution to bridging practice-based knowledge into the academic field by documenting the impact of trauma-informed and culturally-specific services on Latina survivors in the context of community based, Latina-serving organizations. The research team would like to acknowledge the practitioners who were critical in implementing this research study, as well as Lisa Goodman at Boston College for her support in providing funding for the startup of the project. Other funding came from grant number 90EV413.04-01 from the Administration on Children, Youth and Families, Family and Youth Services Bureau, U.S. Department of Health and Human Services. Its contents are solely the responsibility of the authors and do not necessarily represent the official views of the U.S. Department of Health and Human Services. We would also like to dedicate this article to our mentor and friend, the late Dr. Julia Perilla. Alvarez, M. J., Ramirez, S. O., Frietze, G., Field, C., & Zárate, M. A. (2018). A meta-analysis of Latinx acculturation and intimate partner violence. Trauma, Violence, & Abuse. https://doi.org/10.1177/1524838018801327. Harris, M., & Fallot, R. D. (2001a). Envisioning a trauma-informed service system: A vital paradigm shift. New Directions for Mental Health Services, (89), 3–22. https://doi.org/10.1002/yd.23320018903. Kulkarni, S. (2018). Intersectional trauma-informed Intimate Partner Violence (IPV): Narrowing the gap between IPV service delivery and survivor needs. 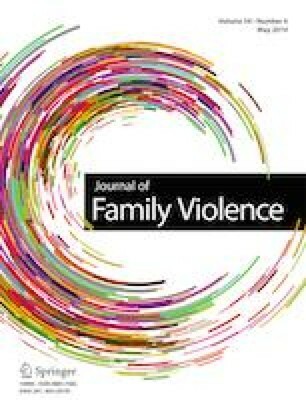 Journal of Family Violence, 1–10. https://doi.org/10.1007/s10896-018-0001-5. Sullivan, C. M., Goodman, L. A., Virden, T., Strom, J., & Ramirez, R. (2017). Evaluation of the Effects of Receiving Trauma-Informed Practices on Domestic Violence Shelter Residents. American Journal Of Orthopsychiatry. https://doi.org/10.1037/ort0000286.